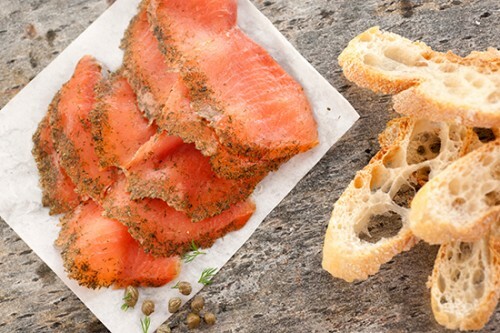 This Friday (2/9), you can get FREE lox and bagel from Acme Smoked Fish (30 Gem Street). To celebrate National Bagel and Lox Day, the most New Yorker food holiday, Acme is teaming up with Zucker’s Bagels to create the world’s biggest bagel and lox sandwich. It will start with a custom-made gigantic everything bagel that will be topped with cream cheese, Acme’s Nova Scotia Smoked Salmon, tomatoes, red onions and capers. After the Guinness team weighs the sandwich, it’s gotta be eaten! This is where we can all come together to help our most fishiest of neighbors. The whole event is scheduled to start at 12 noon with no RSVP or ticket required, and that means FREE food! 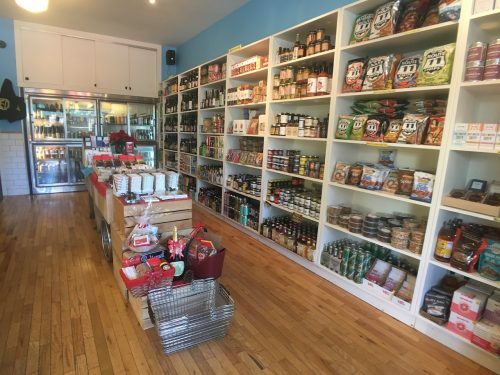 Seven years ago, Beth Lewand and Chris Gray turned a former Polish deli into Eastern District, a specialty shop focusing on craft beer and artisanal cheeses. Nowadays, the shop is part of the fabric on the northernmost stretch of Manhattan Avenue. 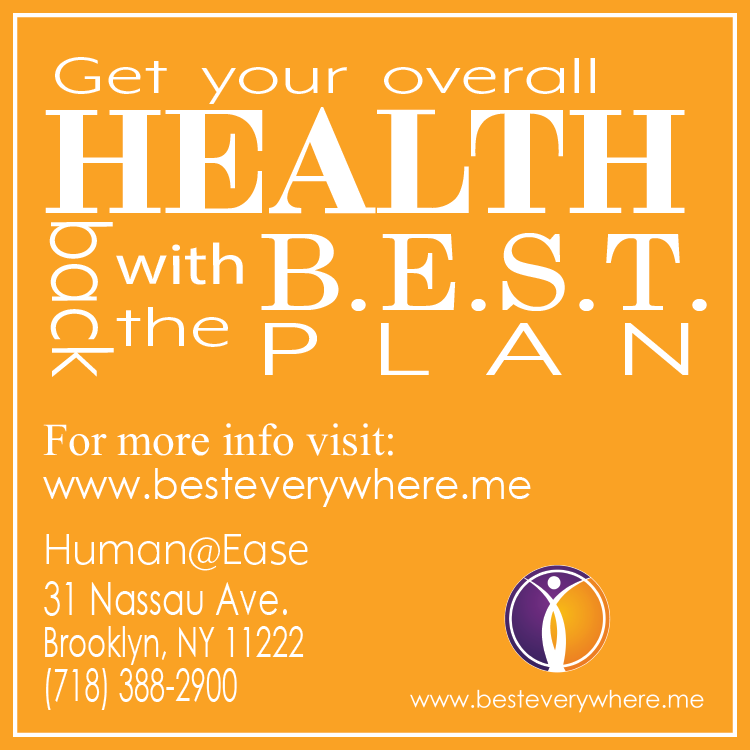 It’s a place to grab a quick sandwich, drop off your flyers, and a CSA pick-up spot for those who don’t want to trek through Greenpoint with 30 pounds of produce in the heat of summer. But over the past year, Eastern District quietly changed hands. Beth and Chris were moving to Vermont (she’s now at Cricket Creek Farm) and didn’t want to close Eastern District outright, so they sold it lock, stock, and barrel to Sam and Sami Shah. 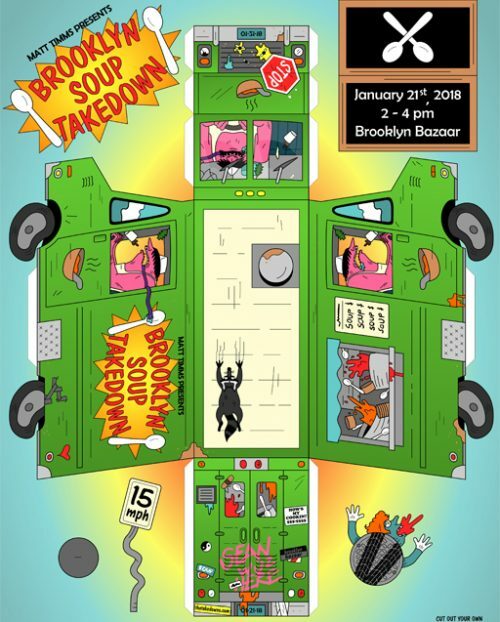 The very famous, Greenpoint-borne food competition, The Takedowns, is back again this weekend at Brooklyn Bazaar (150 Greenpoint Ave). This month, about 20 home cooks will battle it out over warming pots of soup. Up for grabs are a plethora of prizes from Anolon, Cuisinart, Microplane and Wüsthof, plus, of course, the glory of making the best soup in Brooklyn. It’s all you can eat until the soup’s all done and only $20/person. Yours truly will be on hand to judge with criteria including creativity and replicability. It all goes down this Sunday, from 2pm – 4pm. Get your tickets here. 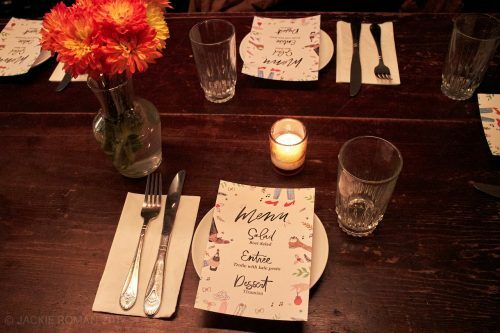 Lately, one of the hottest tickets in Greenpoint is to the series of dinners being hosted by The Wild Honey Pie. 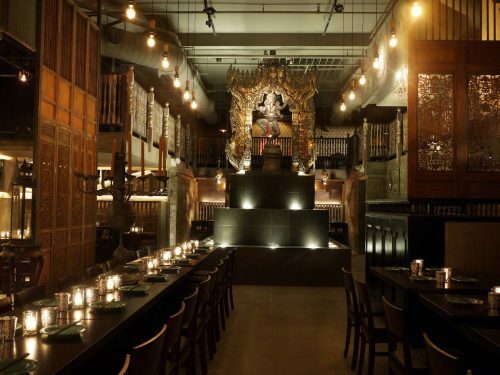 The monthly event, which began last year, starts with a three-course dinner before a small set by an up-and-coming artist. The dinner party has been held at several locations around the neighborhood including Archestratus Books + Food on Huron Street. Needing to find a bigger space that can accommodate more guests and equipment, they’ve moved over to Le Fanfare (1103 Manhattan Ave). That’s where this month’s dinner will be held on the 24th with the local band Future Generations. Goodbye, Pretty Southern & Golden Brown’s. Hello, Pelicana! 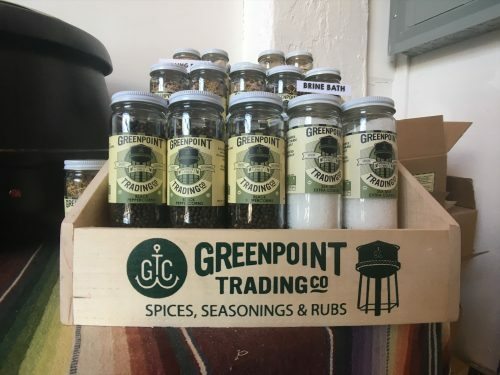 If you’re a regular shopper at New York City’s specialty grocery shops, pop-up markets (like our very own Greenpointers markets), or back in the day at Smorgasburg, you’ve probably come across Greenpoint Trading Co.’s spices. 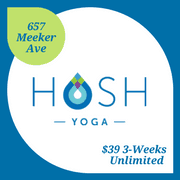 If you’re like me, you’ve wondered why they didn’t have a small shop in the neighborhood, a place where you could look at their offerings or pop in when you need some emergency za’atar or hawaij. 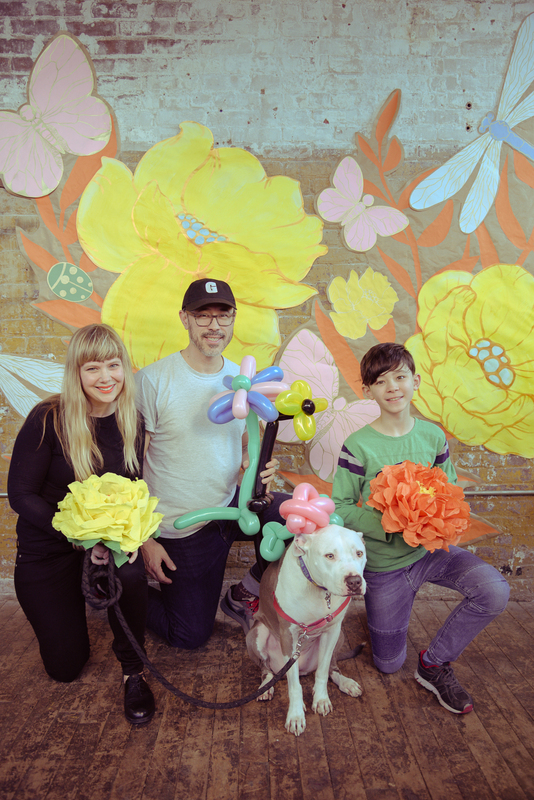 A few months back, owners Kimmee and Evan Hoffman finally found the perfect little space at 65a West Street for a little spice shop of their own. 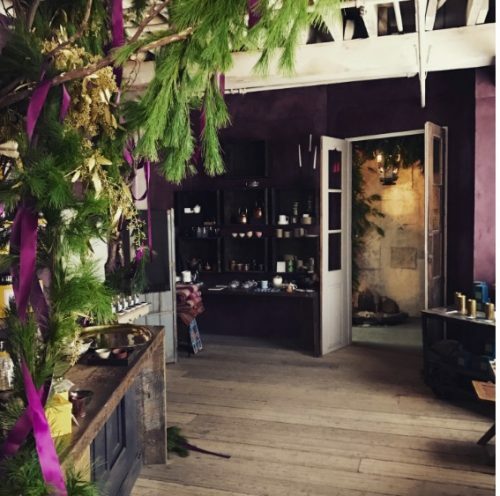 Michael Shannon and Heidi Johannsen Stewart want one thing to be very clear when you step into Bellocq Tea Atelier (104 West St), you’ll be welcomed with open arms and no judgment even if all you’ve ever steeped is a bag of Lipton. Instead, a visit to the atelier is an “opportunity to learn about tea,” according to Michael. The cozy space, originally planned as their showroom, now serves as their only brick-and-mortar shop despite the brand’s growing popularity. 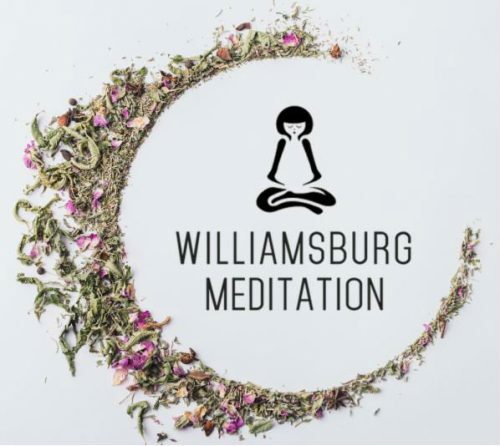 Their tea can be found at numerous restaurants around the city, has made Oprah’s Favorite Things list for the second year in a row, and is now featured prominently at Tiffany & Co.’s new Blue Box Cafe. And tomorrow, they’re opening their doors for a little holiday fun and the whole neighborhood is invited to stop by! 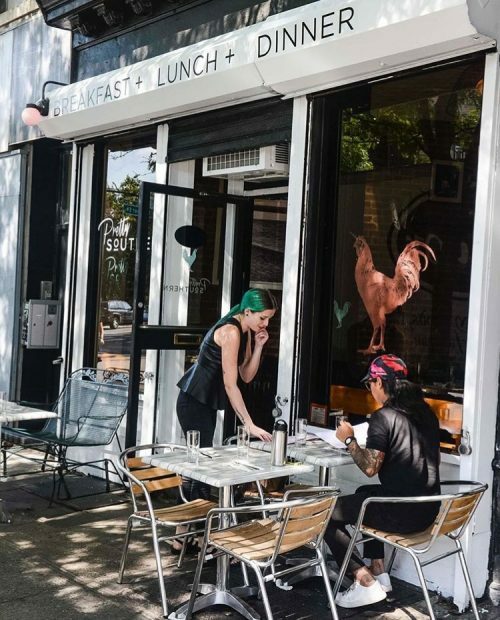 News came out this week that two big names in New York City’s dining scene are expanding to Williamsburg and Greenpoint. 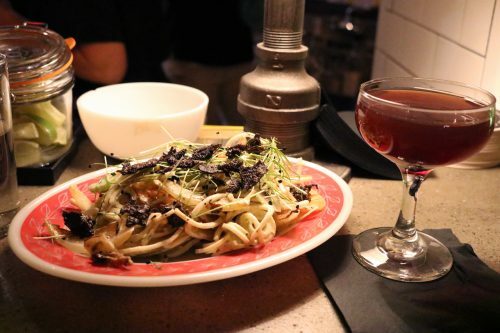 The neighborhood is now home to one of Queens’ best Thai restaurants, a spot that’s been on citywide Top 10 lists multiple times, and Greenpoint Avenue will soon be home to a new wood-fired Mexican restaurant run by one of Brooklyn’s most underrated chefs. Of course, this great news isn’t without a little bad news as another long-time Greenpoint watering hole quietly closed its doors a few weeks back.